Our espadrilles slides are so unique. They are 100% handmade, hand stitched in our country Portugal. Made of italian leather, so comfortable that you will want to keep them forever. 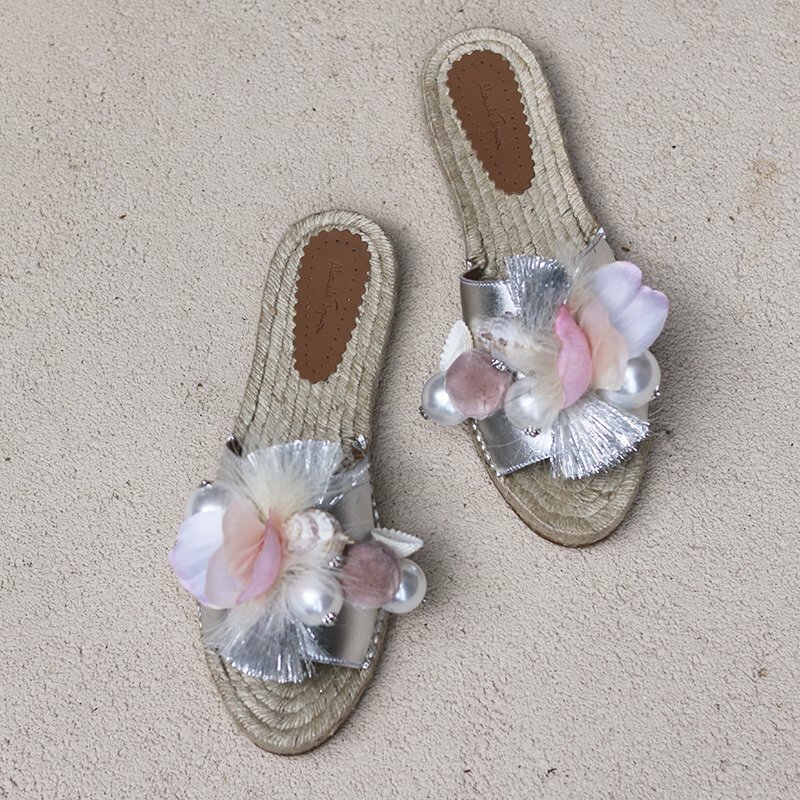 These are so chic, with our unique combination of pom pons and pearls.